From Coil to Coil – Ungerer – Maschinen für das Beste. 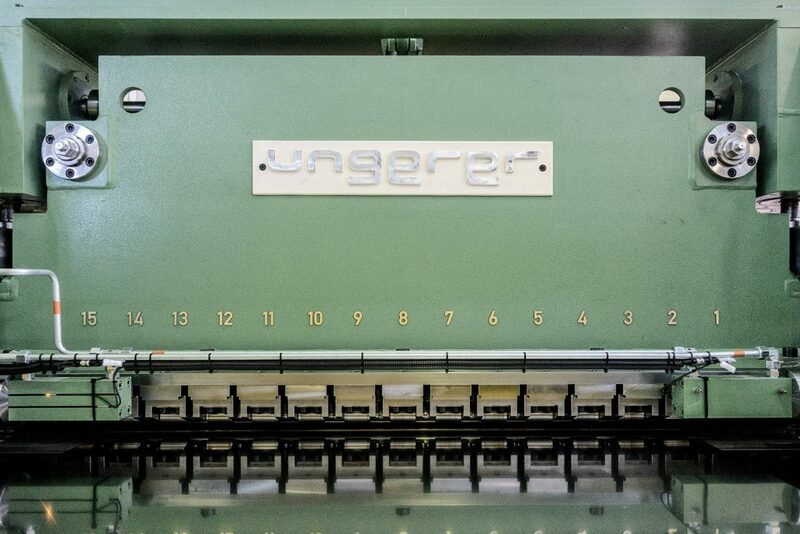 Through individual levelling process solutions, Ungerer guarantees absolute flatness for different kind of materials such as non-ferrous metals, aluminum and aluminum alloys, stainless steel and special alloys. 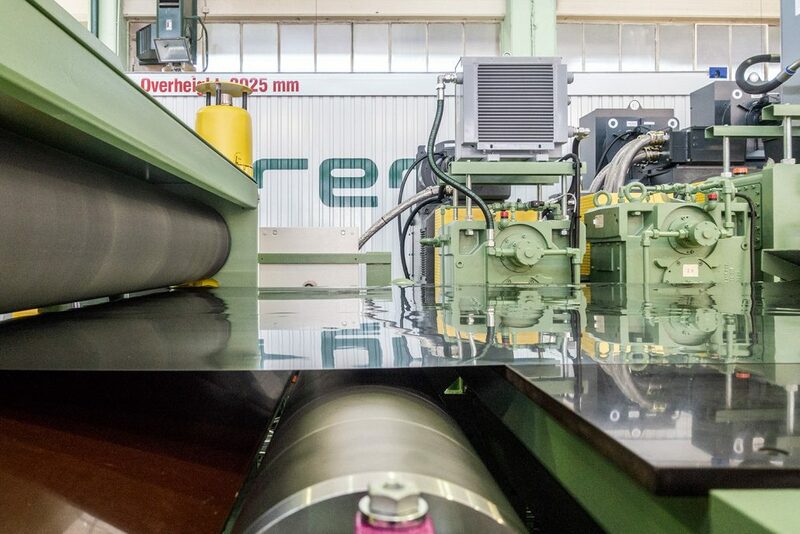 Bend-Levelling units in our Stretch-Bend-Levelling Lines are equipped with a 23 working roll levelling cassette which causes a homogenization of the internal material structures and therefore, a reduction of stress – due to the overlay of tension and bending stress. 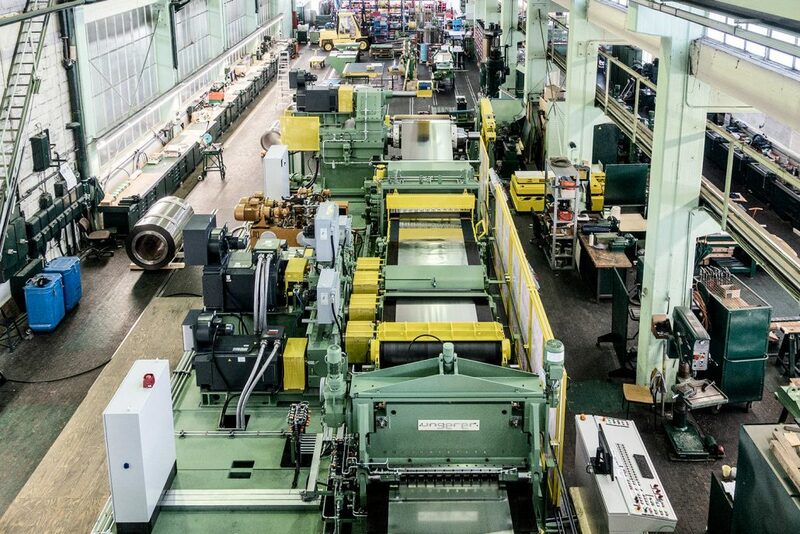 For the Tension-Levelling process, a bending unit, in conjunction with a 9-roll levelling unit, is used. For levelling softer materials, such as aluminum alloys (for example series 1xxx), Ungerer Pure-Stretching Lines are applicable. Hereby, the material is stretched under high tension and with an adjustable, adaptive spreading roll, which is set to the strip unflatness, the material will be levelled. 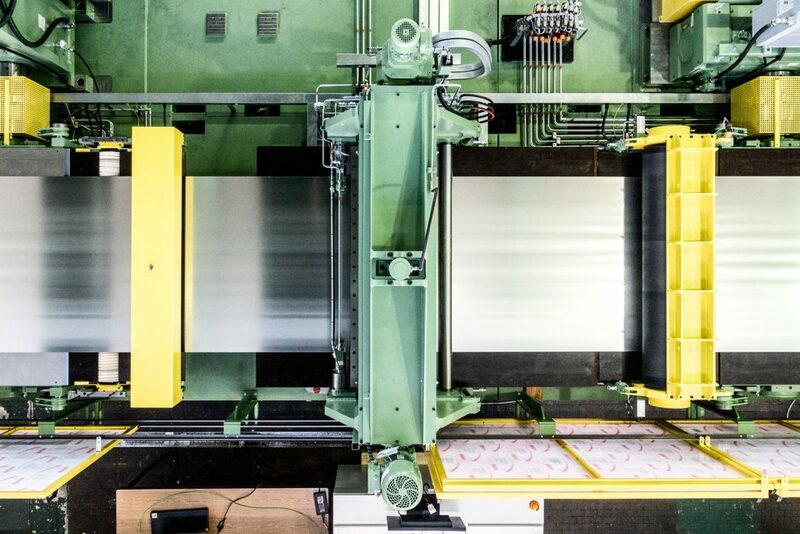 In our Recoiling and Inspection Lines, coils up to 40 tons and outer diameters up to 2800 mm can be recoiled into smaller coils and trimmed to customer specific strip widths. Unflatness defects can be detected, both visually and optoelectronically or in combination of both.